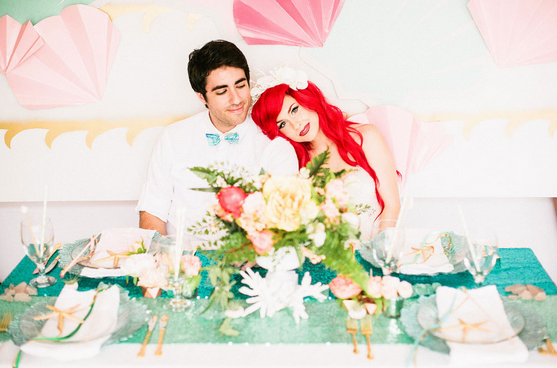 Singer and designer Traci Hines teamed up with Your Cloud Parade to take Disney’s ‘The Little Mermaid’ inspired wedding photos. There are a lot of fantastic and magical ideas in these photos, surely to inspire anyone’s inner princess! Now the only question is, which princess do you think would match your style? Original article written by Huffington Post’s Kelsey Borresen, you can read it and see all the beautiful pictures right here.